Reading Comprehension Homework letter can be found here. Powerpoint from the SATS Information meeting on 29th January can be found here. Reading books will be changed on Mondays & Thursdays. Weekly spellings will be given out on Mondays. Your child will be tested on a selection of these on Fridays. Below are some games to help your child develop their phonic skills. We are continuing with the school ‘Times Tables Challenge’ award system to encourage the children to learn their times tables. In Year 2, the children need to learn their tables (multiplication and division facts and missing digit questions) to achieve awards for the 2, 5 and 10 times tables. This half term we will be studying non-fiction texts, identifying their features and writing information reports about the different food groups. We will be writing instructions so we know how to make pancakes and how to bake buns. We will also be writing food descriptions and our own food themed stories. As well as this we will be composing and performing food poems. In addition, we will be studying stories with familiar settings, linked to our topic such as Hugless Douglas and the Great Cake Bake, The Disgusting Sandwich, Sammy and the Skyscraper Sandwich and Jack and the Baked Beanstalk. This half term we will learning about Fractions finding halves, quarters and thirds of quantities and shapes as well as comparing fractions. We will also be learning about shape, comparing and sorting 2D and 3D shapes, exploring their properties including the sides and lines of symmetry of 2D shapes and the edges, faces and vertices on 3D shapes. We will continue learning about measure focussing on mass, capacity and volume, comparing, measuring and recording these in practical problems. If you have any questions about these areas of Maths please come and speak to a member of the year 2 team. Once again Year 1 and Year 2 children will be working closely together and our topic title this half term is ‘Where in the world?’. This topic has been chosen to provide the children with opportunities to develop a wide range of geography and science skills including finding out about animals in different climate zones across the world, learn about their diet and how they adapt to their habitat. Towards the end of the term, we will be having a visit from Oreo and friends who are a company that bring a variety of amazing creatures into school so that the children can interact with a range of animals that they may have never seen or heard of before. We are continuing with our topic approach to homework this year and in addition to their reading book, weekly spellings and maths homework, children must also complete at least 1 homework project based upon our topic. Your child will receive their homework sheet on the first week back this half term, a copy can be found here. Topic homework will be shared during our Pride In Our Learning session on Monday 8th April @ 3pm. Each of the projects have been designed to allow children to develop their creative and critical thinking skills. Remember that you can work with your child on homework and it’s a fun activity to do with your child. We hope you enjoy completing some of these homework projects with your children. Spellings are given out on a Monday and due in the following Friday of that same week. Reading homework is given out on Thursdays and due in the following week on Thursday. Maths is given out on a Friday and due in the following week on Wednesday. 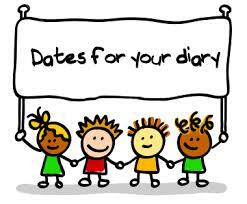 Please ensure your child writes their name on their homework and that they have it ready to hand in on the days mentioned above. 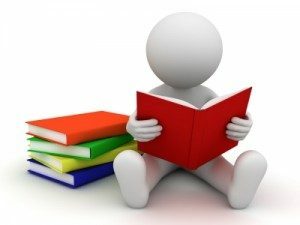 We do accept reading and maths homework early, however we do ask that you keep spellings because they need to be practiced and looked at again before the test on Friday. 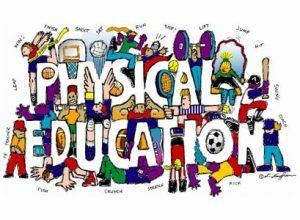 Our curriculum page for Year 2 can be found here.